One of the commentators to my previous blog post (on the Rock Pop TV gig Dire Straits did on December 20, 1980) asked for Mark’s effect rack. He triggered this blog post in which I would like to put together all information I have about it. 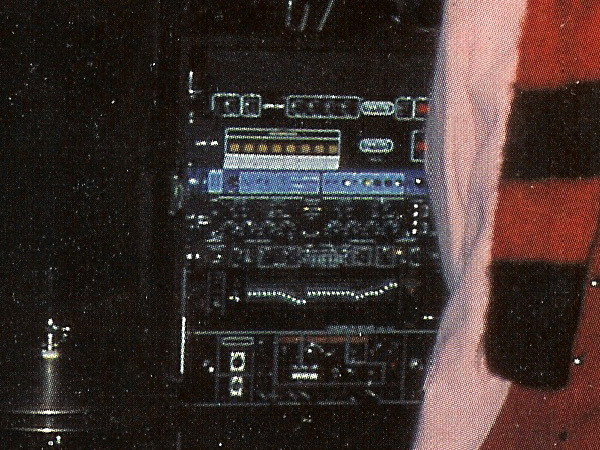 The Making Movies ( On Location) tour was the first tour on which Mark used a fully loaded 19″ effects rack. Some of the devices were probably still used on the Alchemy tour, and some of them even on the Brothers in Arms tour. Later Knopfler had a rack built by Pete Cornish. 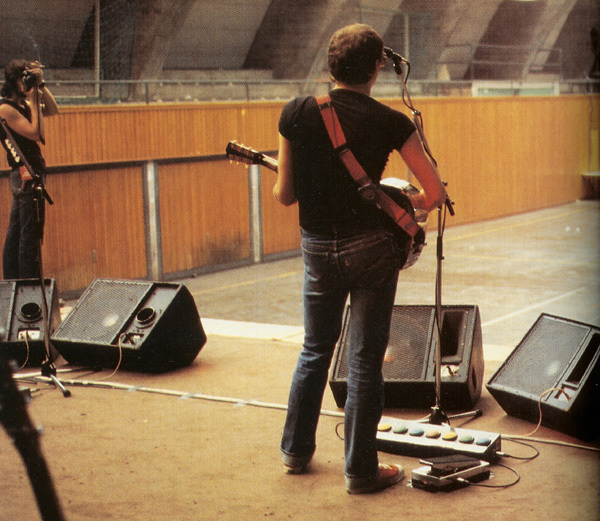 The rack was on the right side of the stage, near Knopfler’s two Music Man HD 130 amps. It was visible from the audience but almost all pictures we have from the various gigs of the tour do not let you see anything more than some control lights and some knobs. The main source of information we have is the On Location tour book that does not only contain the closest picture of the rack but also a list of the built-in effects. Unfortunately the list is not too accurate and only mentions a handful of devices, but no concrete model numbers or such. 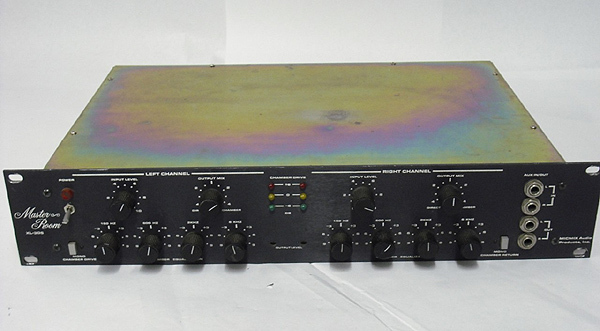 The Deltalab is a very early digital delay – this was really high tech stuff in 1980! The Master Room Reverb was a stereo spring reverb, typically used in studios instead of in guitar racks. Both channels had different decay times to create a very special reverb. In fact MicMix modified the common Accutronis springs to get exactly the result they wanted. 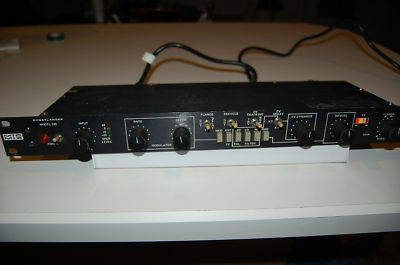 MicMix was a US company that was mostly known for studio reverbs and this special flanger device. The Dynaflanger was also used by Frank Zappa who created some astonishing sound effects with the help of two of these flangers. 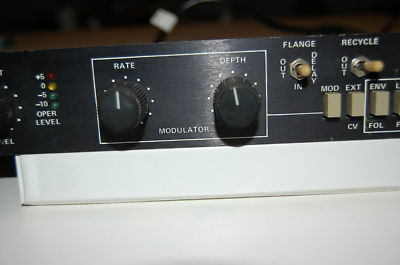 A unique feature was that the delay time could be controlled by the envelope of the incoming signal – in other words a loud note lead to a different flanger setting than a soft tone, the effect reacted musically to what you were playing. I could not determine the exact model number of this graphical equalizer. It seems to be a mono device with 31 bands with a height of two rack units – like the common EQ-131 but this one was only one unit. It was possibly used for the National resonator guitar. 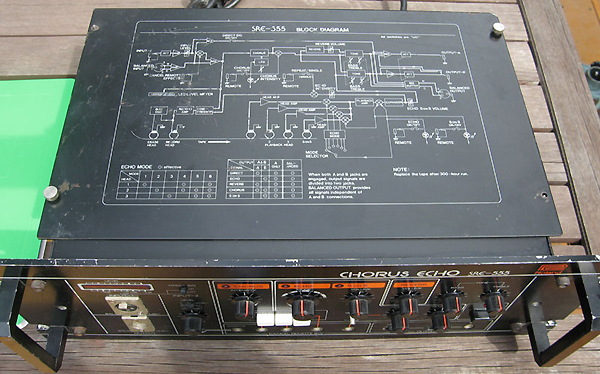 This one is another representative of Roland’s Space Echo series, basically an RE-501 as 19″ rack version. Like all the other space echos, it makes use of a tape loop to record and playback signals, something that modern devices do digitally. A tape loop was the only way to create long delay times since analog delays became duller with rising delay time, and digital devices costs a fortune and mostly did not have enough memory for long delays. The SRE 555 also features a chorus effect which sounded great in combination with the delay. The Morley volume pedal is the same model he used before, we don’t know at which point it was inserted into the system. The rack itself was said to be from “Mantec”. Unfortunately I did not find anything about such a company. 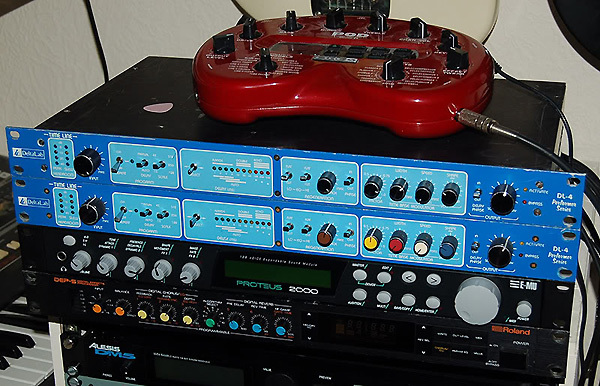 Nevertheless, it seems to be evident that the first stage of the rack was a pre amp that boosted the signal to line level which was required to drive the following studio effect devices. 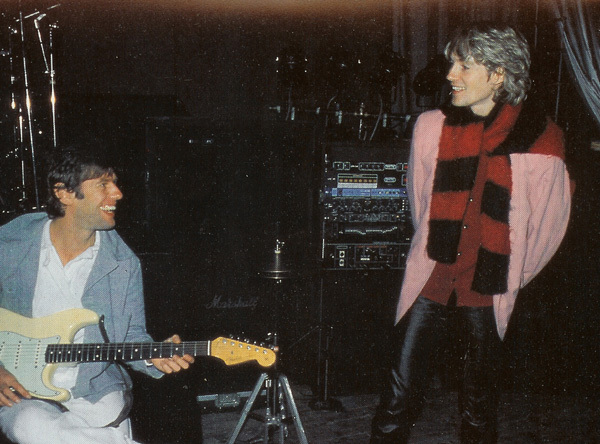 Probably the effects were not in a direct one-after-the-other chain but were used inparallel – just like you do with studio effects connected to a mixing desk. 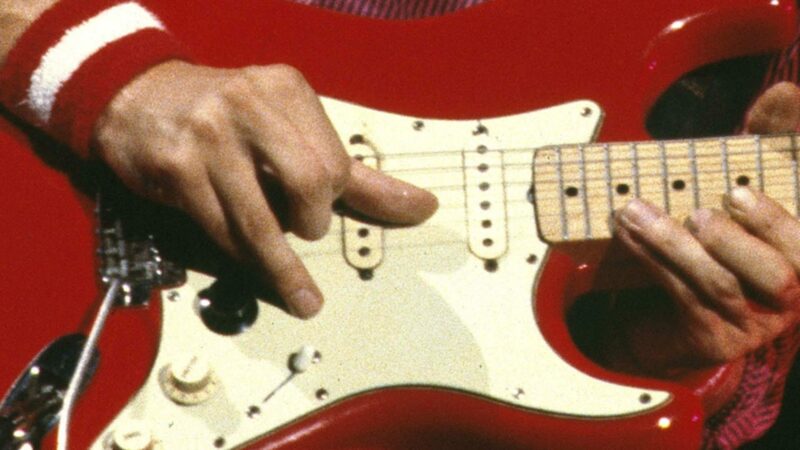 Knopfler controlled everything with a foot controller that featured big coloured foot switches so that everything was easy to operate – especially on a dark stage. It seems the rack had 8 effect ways – at least there are 8 control lights. Interestingly these can easily be seen from the audience, even on the dark stage. Checking videos from this era, it might be possible to tell which effects were switched on or off on different songs, compare the two yellow lights on the pictures below. If someone finds the time to do so, you can use the comment form for this blog post to let us know. on Skateaway from Friday’s Live 1980 it looks like there are 9 lights burning. Unfortunately I can’t see exactly which units are switched on. Just stop the cursor on 1:03. This is really cool, well done. Do you have any ifo on Mark’s pedal board from mid 80s to early 90s. I think it was a Pete Cornish. I’ve never really got to see a close up of it. Can anyone help? 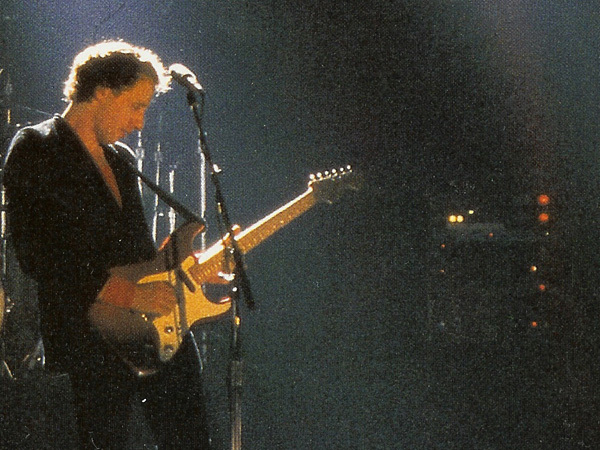 Radio 2 seems to have a thing for Dire Straits at the moment – I think Jeremy Vine is a big fan of knopfler!! Awesome pics, I researched and couldn’t find the specifics for the control lights. Someone let me know if you find out. I still can’t believe that they got kicked out of Canada for no good reason. I always think the old/retro equipment looks so much cooler…unfortunately I had to get rid of all mine due to moving house, although my father has still got some cool kit…sounds better to…a bit rough around the edges!